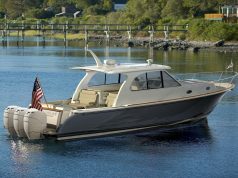 Powercats offer stability, spaciousness, beautiful lines, and so much more. See some of the industry’s top catamarans for cruising. The multi-hull catamaran design has centuries-old roots in seafaring cultures around the world— think outrigger canoes in the South Pacific. As engine technology evolved, applying power to sailing catamarans was a natural progression. 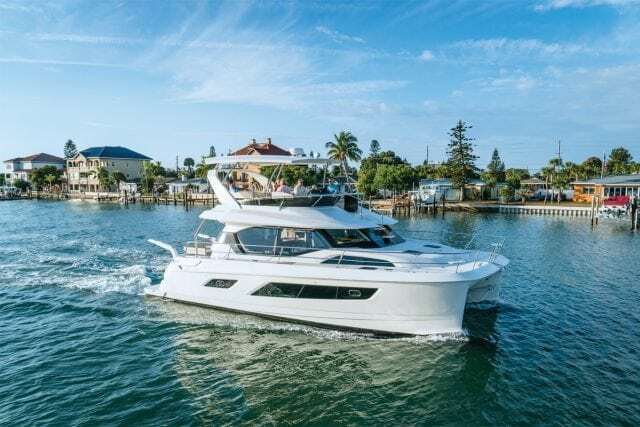 Today, powercats range from 28-foot fishing boats to 70-foot luxury yachts that come equipped with sought-after mono-hull features like generous interior appointments, advanced electronics, and equipment that ensures ease of use. These days, the top catamarans for cruising are wide and varied. 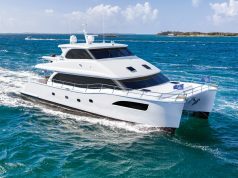 Bareboat charter companies, such as The Moorings and MarineMax Vacations, use powercats for their fleets, where customers charter and pilot the boats themselves. (Allowing charter customers to pilot vessels unaided says a lot about how well powercats perform.) And once you take a tour of the luxury powercats, you will be amazed at the size; the sprawling interiors seem more like apartments than boats. Here’s a look at some of the leading powercats and the top catamarans for cruising from top builders worldwide. Anglers will recognize some that are ideal for fishing, while cruisers will spot those designed for relaxation and luxury. Whatever your reason for looking at powercats, you’ll agree that two hulls just might be better than one.